My wonderful hubs. We were married October 17, 2009. He is a voracious reader, avid runner and eye doc extraordinaire. He is known around these parts as the "Baby Whisperer." 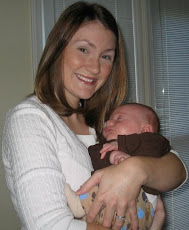 Our little piglet entered the fold on August 26th, 2010. He is everything. Lady A joined the team June 18th, 2012. Our little princessa.